Most of the rooftops were covered by rust iron plates or ripped tents with bunch of wasted wood pieces on the top. Some houses even had cracked walls with broken window which seemed to collapse in any moment. This is the situation of Guryong village today, located in Gangnam district. In contrast to this village, only a few miles away stands the Dogok Tower Palace, which is the most expensive building in Seoul. This plainly shows how serious the regional polarization is today. 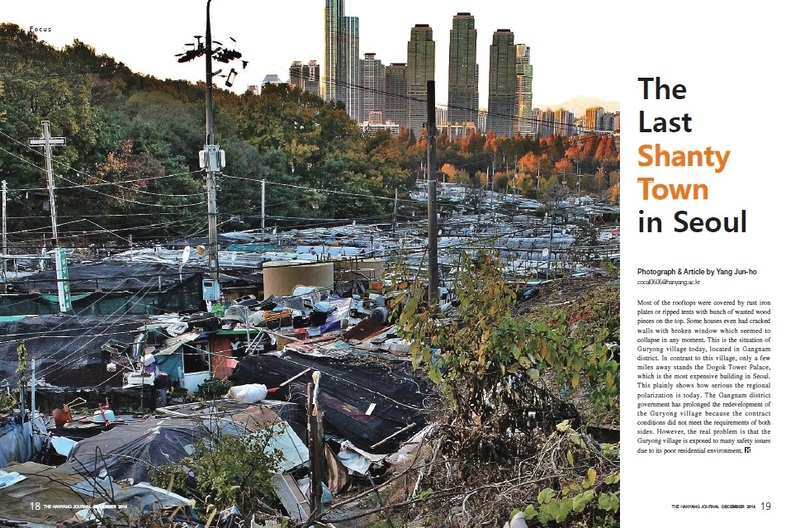 The Gangnam district government has prolonged the redevelopment of the Guryong village because the contract conditions did not meet the requirements of both sides. However, the real problem is that the Guryong village is exposed to many safety issues due to its poor residential environment.